A New York City native, Matthew Ostrowski is a composer, performer, and installation artist working primarily with electronics and sound. He studied music at the Oberlin Conservatory in Ohio, and the Institute of Sonology in The Hague. He has shared the stage with everyone from John Zorn and David Behrman to a trio of Elvis impersonators. He has been the technical advisor for the Macarthur fellowship-winning choreographer Elizabeth Streb and presently develops custom software for musicians and installations. 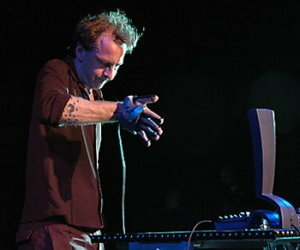 He has performed from Australia to California, including the Melbourne Festival, the Audio Art festival in Krakow, Sonic Acts in Amsterdam, New Music America, the Festival Musiques Innovatrices in France, Stroom in Switzerland, PS 1, Wien Modern, and many other venues worldwide. Ostrowski has received fellowships from STEIM in Amsterdam, the Media Alliance in New York, the New York Foundation for the Arts, and many others.